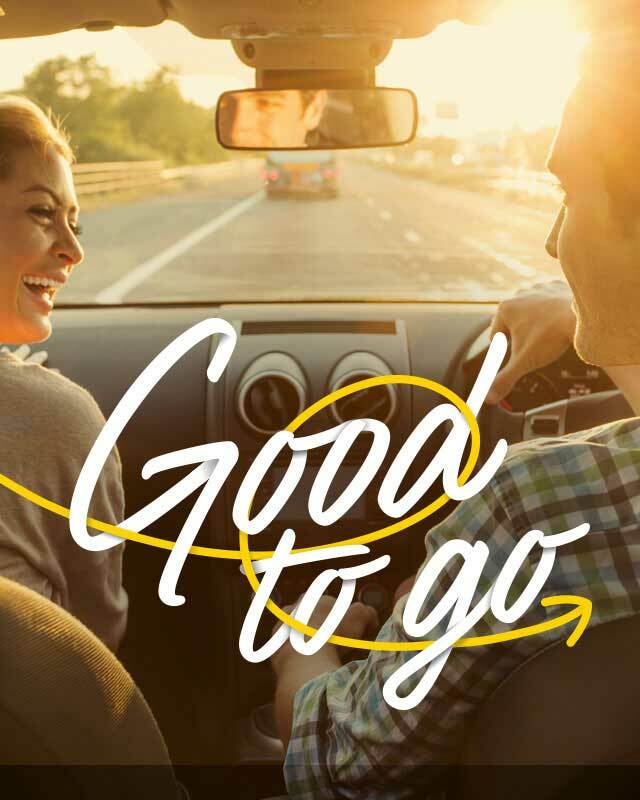 From helping you find tasty food to enjoy with the family to keeping your car looking tip-top, your benefits are always there to make every journey better. And for those times when you need a different set of wheels, we can help with that too. Get 25% off great food at Bella Italia, Café Rouge and Belgo 7 days a week - as well as 20% off Monday to Friday at favourites like Toby Carvery, Harvester and over 1,000 more pubs and restaurants. Get a coffee fix or stock up on snacks when you're on the go with money off food and drink at Moto services including Moto Costa, Moto WHSmith and Moto M&S. Running low on entertainment? You can now get Vue Pass vouchers, and treat the whole family with up to 45% off box office prices. Unfortunately, the discount is currently unavailable while Vue set up their new Vue Pass portal. Check back soon to buy your vouchers. Whether you’re planning a cross-country road trip or a weekend staycation, make your journey a little more special with up to 15% off car rentals across the UK, Europe and North America. Member b	enefits are personal and can't be used for business purposes. Is valid 7 days a week until 29 June 2019 (excluding Easter Sunday and Christmas Day). Must be used with a valid AA membership card. Some size restrictions apply. Please check signage at car wash.
London (2D and 3D) E-codes can be used at all other 89 Vue locations nationwide. Non-London (2D and 3D) E-codes can't be used at a Vue location within the M25. This includes; Acton, Bromley, Croydon Grants, Croydon Purley Way, Dagenham, Finchley Road, Fulham Broadway, Harrow, Islington, North Finchley, Piccadilly, Romford, Shepherds Bush, Staines, Watford, Westfield London, Westfield Stratford and Wood Green, West End (Leicester Square). Must be exchanged for an admission ticket either at the Box Office or online and cannot be used to make bookings over the phone. Valid for one ticket and must be used at the time of exchange. Valid for a single use only and cannot be reinstated or replaced once redeemed (this includes if you cancel your booking). Not valid for any film at the Vue West End (Leicester Square). Not valid for Premieres, Big Screen Events and alternative/special showings including Mini Mornings, Senior friendly, Autism Friendly and Scene screenings. Can be used to book IMAX, VIP, Recliner, Xtreme seating or Gold class screenings online and at the Box Office upon payment of the difference. 2D E-Codes cannot be upgraded to a 3D screening. 3D E-Codes must be purchased for 3D screenings and are redeemable for entry into the screening only, customers will be charged for the purchase of 3D glasses if required. Do not have priority over general tickets. Valid for up to 12 months from issuance and are not subject to extensions. Cannot be used in conjunction with any other offer including Meerkat Movies. E-Codes are not to be used for financial gain in resale. The cinema managers decision is final. Every Film Every Day (2D) - In addition to the above, E-Codes must be exchanged for a 2D admission ticket either at the Box Office or online at the following locations only *: Aberdeen, Altrincham, Ashbourne, Barrow in Furness, Bedford, Bicester, Birkenhead, Birmingham Star City, Bristol Cribbs, Bristol Longwell Green, Bromley, Bury The Rock, Cardiff, Carlisle, Cheshire Oaks, Cleveleys, Cramlington, Croydon Grants, Croydon Purley Way, Cwmbran, Darlington, Edinburgh Ocean, Edinburgh Omni, Farnborough, Fulham Broadway, Gateshead, Halifax, Hamilton, Harrow, Hartlepool, Hull, Inverness, Islington, Lancaster, Leamington Spa, Leeds Kirkstall, Leeds Light, Leicester, Limerick, Livingston, Lowry, Manchester Printworks, Merthyr Tydfil, Northampton, Newcastle under Lyme, Norwich, Oxford, Plymouth, Portsmouth, Reading, Romford, Scunthorpe, Sheffield, Southport, Staines, Stirling, Stratford, Swansea, Thanet, Thurrock, Torbay, Watford, Wood Green, York. *Vue reserves the right to withdraw or amend this listing at any time. See myvue.com/legal for current participating locations. This offer is subject to availability and can't be used with any other promotional offer or discount. This offer is valid until further notice. We may withdraw or change the Ts&Cs, the offer itself, or any part of it, at any time without notice.